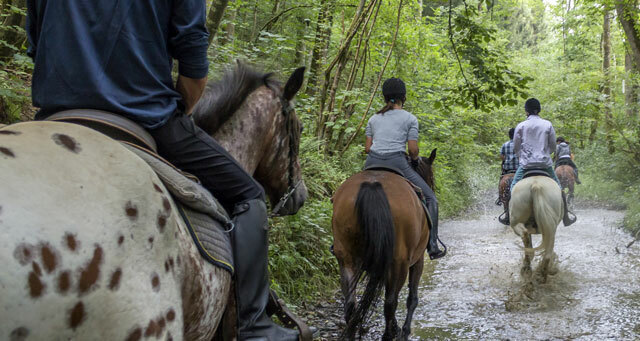 There are over ten sturdy horses and they‘ve each got their own history, character and way of establishing a quite special relationship with the rider whether he‘s just passing through or is a resident. But that‘s not everything, because the visitor can also appreciate the proximity of the lovely stables to which he or she has free access. And then, there‘s the magic of those moments when you hear the hooves of the horses pounding the soil as they make their return to the Ferme. A real spectacle!